Hexoskin was awarded another contract with the Canadian Space Agency (CSA) to develop a new technology, a patch-based sensor network to remotely monitor astronaut’s vital signs. Teneisha Collins, Community Manager, Hexoskin (Carré Technologies) shared this news because the new contract has applications beyond space exploration. Researchers at St. Mary’s Hospital’s Research Centre (SMHC) also developed a new Canadian tech system that can be used in exploration- class space missions and improve access to health care here on Earth. The timing of the release of the new Star Wars movie, The Force Awakens, together with this CSA initiative should help to inspire the next generation of innovative companies and Sports Techie youth to invigorate space exploration, which is indeed the final frontier. Sport, fitness and training, racing and rehab are just a few of the activities that will find the ability to remotely monitor vital signs of quarterbacks, obstacle race athletes and race drivers, as a must have technology useful on earth to optimize athletic performance and injury maintenance. The era of virtual medical consultants at mission control that supports the crew medical officer is here thanks the support of sports tech company, Hexoskin. Hexoskin was awarded another contract with the Canadian Space Agency (CSA) to develop a new technology, a patch-based sensor network to remotely monitor astronaut’s vital signs. The innovative folks in Montreal, Quebec are excited to work alongside the CSA after being awarded a $700K contract from the CSA to develop the On Astronaut Wireless Sensor System (OAWSS.) The Advanced Crew Medical System (ACMS) includes the OAWSS and together the goal is to assist with preparation so that the CSA can fulfill the needs of future human space travel, to the Moon, Mars, and even beyond our solar system. Hexoskin won the contract award in response to the Space Technologies Development Program request for proposals post. 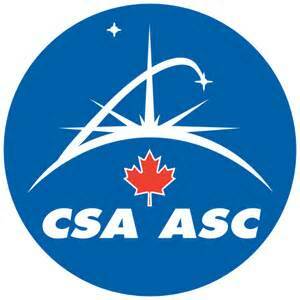 Hexoskin is a leading technology supplier for the Canadian Space Agency, since 2011. Hexoskin previously delivered the Astroskin system, a wearable platform for remote health monitoring currently used in on-going studies and evaluations. Hexoskin then commercialized the Hexoskin smart shirts for sports training and health tracking. This new OAWSS contract between the CSA and Hexoskin strengthens their business relationship, while positioning Hexoskin as an industry leader in connected health and wearable health technology for space travel and space exploration. “We’ve designed a unique wireless body sensor platform that provides long-term vital signs monitoring with a high level of accuracy, reliability, and configurability, and we’re very excited to have been selected by CSA for this project. The technology developed will be useful to many space groups within CSA, including the Life Sciences and Space Medicine groups,” says Pierre-Alexandre Fournier, CEO of Hexoskin. Imagine if you will an emergency room physician and family doctor combined with a psychologist and occupational therapist, all available in outer space through a small, wearable sensor and decision support system. The biometric wearable sensors can be attached on the astronaut’s body, as needed, using a biocompatible adhesive. Each sensor communicates over a personal wireless network to monitor all crew members well-being inside a space station, space craft and on space walks. The ACMS reconstructs a real-time model of each astronaut from the collected data and compares it to a model of astronauts when healthy. The information can be used to assess the astronaut’s ability to perform tasks, predict decompensating, and monitor illness and injury. OAWSS proprietary technologies allows ACMS the ability remotely monitor crew health, as well as support development of a wellness diagnosis and treatment plan in case of the injury, fatigue and illness throughout extended duration space missions. Astronauts can attach OAWSS sensors to their body using a biocompatible adhesive that provides critical data remotely accessible in real-time. Each small sensor is attachable to an astronaut’s or athlete’s body, as needed, using the biocompatible adhesive. The primary objectives of the OAWSS are: the development and fabrication of Wireless Sensor Units, the development of a Sensor Interface Unit, and the development of a Data Management System. The Data Management System includes an electronic health record (EHR), a real-time monitoring interface, and an application program interface (API) compliant with the HL7 standard. Via the Space Technologies Development Program, the CSA invests in Canadian companies such as Hexoskin, in order to generate innovations deemed essential for the pursuit of space exploration. OAWSS has the potential of becoming a crucial technology to monitor the health of astronauts during long duration space missions from Canada and other nations. Sports Techie, exploration class missions need new technologies to remotely monitor astronauts’ vital signs so it is now the responsibility of Hexoskin to help deliver such real-time tech. Challenges for missions to asteroids and mars include weightlessness, solar and cosmic radiation, and complete isolation. Real-time medical support needs to be handled within the space ship capsules by personnel because communication with Earth will face the challenge of delays and even complete blackouts due the far reaching distances of each important mission. Like any athlete, peak performance levels are paramount to ensure the success of mission-critical tasks by these brave and highly-trained astronauts. Injuries and illness cannot be allowed to derail these expensive and perhaps, planet and lifesaving missions, which is why the CSA is investing in the ACMS and OAWSS. The worldwide benefits of this CSA initiative include better access to primary care in the Western world and improved primary care in the developing world that now faces grave shortages. First world health care is on the way to being affordable and sustainable for the whole world thanks to the ACMS. The health care innovation and advancement in technology by the CSA will help us boldly go where no person, animal or robot has been before, so says William Shatner of Star Trek fame, and we all. Hexoskin is a sports technology, wearable tech and space exploration pioneer. Now beam me up, Scotty, before the atmosphere disintegrates and the Empire lands on the dark side of the moon. The race to space is back on for the next generation.